Free from lactose, gluten and yeast. Contains sugar. Collagen is a protein, a natural component of the skin and it helps skin to preserve its firmness and elasticity. Vivania® Beauty Shot contains Peptan™ fish collagen, which is in highly bioavailable and digestible form, and its efficacy is approved by clinical data. Hyaluronic acid is also the body’s own natural substance, which can be found from all living organisms. Hyaluronic acid is a major component of ground substance between skin cells and dermal collagen fibres and, by its moisture binding capability, it elevates the skin and provides extra firmness while enhancing its elasticity. Hyaluronic acid in Vivania Beauty Shot is also hydrolyzed; it is in highly bioavailable and digestible form. 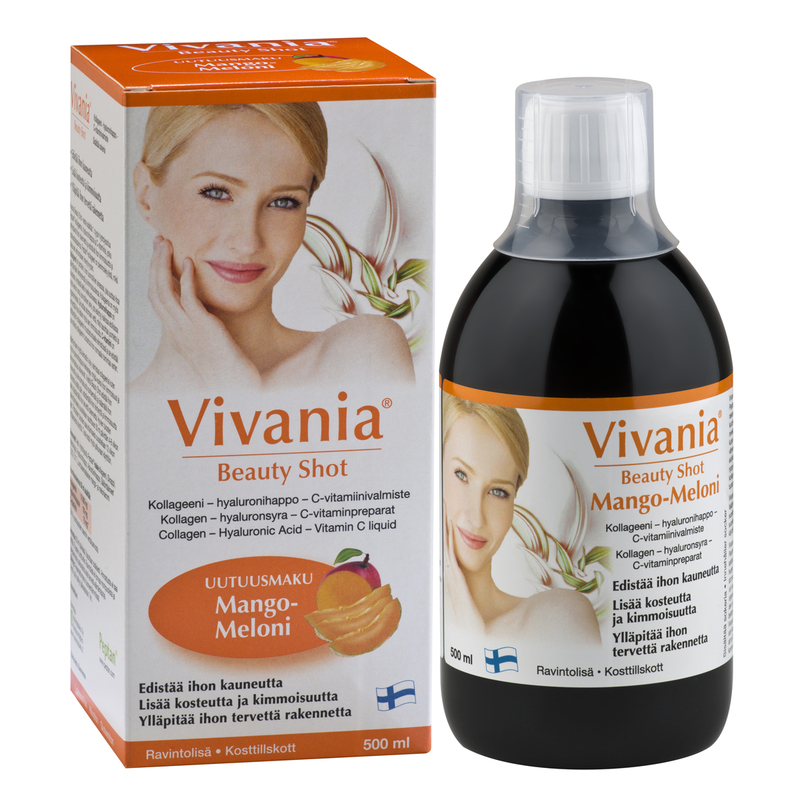 Vivania® Beauty Shot supplement enhances skin beauty by nourishing and moisturising the skin from inside out, enhancing the skin’s firmness and elasticity while maintaining healthy skin structure.